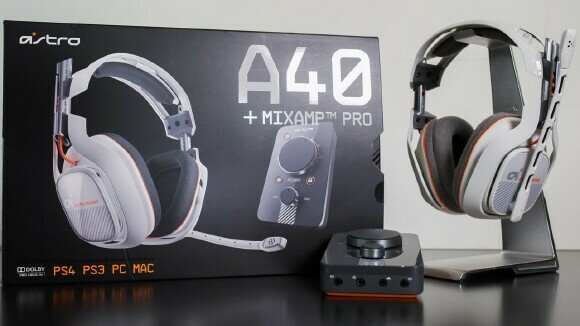 Astro's A40 TR and MixAmp Pro TR combo stands apart from other Xbox One and PC gaming headsets on the market thanks to the solid construction of the equipment, and the great quality sound they produce. From the pillow-like comfort of the ear cups, to the high flexibility of the headphone frame, to the thick optical cables and wires, Astro's set oozes quality. Astro has introduced a new, highly customizable Command Center program alongside the headset and MixAmp, giving you a fantastic degree of control over minute sound settings. The mediocre microphone and sound bleeding are a touch disappointing, but the Astro A40 TR and MixAmp Pro TR is a good combo that delivers great sound nonetheless. 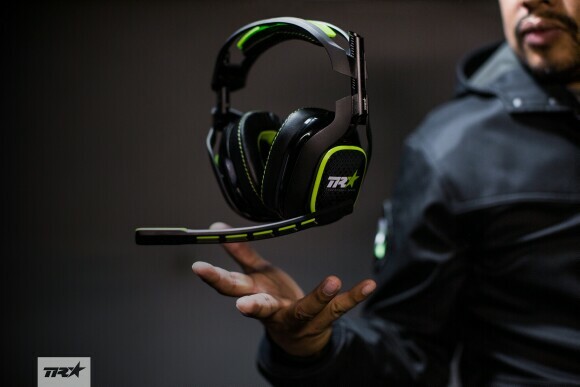 The A40 TR is a beefy over-the-ear headset that uses a rigid, yet highly flexible plastic frame. The headphones contort very easily, but the plastic is solid enough that it holds its shape very well under stress. Metal adjustment sliders around the ear cups and gives the frame additional strength, so the headphones feel strong and secure. The ear cups won't twist or fold unless you want them to. The default ear cushions use a baby-soft padded fabric to cradle your ears. The padding is quite thick, so your ears have a comfortable amount of clearance from the drivers in the cup. Each cushion is secured to the headphones by four magnets that hold them firmly in place, so the cushions will never come off unless you pry them off yourself. With that said, the fabric does not create a perfect seal, so you get some sound pollution when playing in a noisy environment. Astro offers a mod kit for the A40 TR headset, which lets you to swap the fabric ear cushions for denser, noise-canceling faux leather ones instead. The speaker tags on the back of each cup can also be swapped or removed, much like the cushions. A microphone jack is built into both sides of the A40 TR ear cup, so you can also swap the mic jack to the left or right cup by swapping the tags. The default tags do a decent job of retaining and delivering sound, but much like the fabric ear cushions they do not create a perfect seal. Sound will leak into the environment around you, which is less than ideal when if you don't wish to disturb anyone else in the room. The mod kit version of the speaker tags feature a rubber gasket that seals the back of the ear cup completely, preventing considerably less sound from bleeding out. The rubberized boom microphone packaged with the A40 TR is good at capturing your voice, but does not keep its shape as well as I would like. My teammates would occasionally point out that my voice was distant, or cutting out entirely, as a result of the mic bending away from my face and back to its neutral position. The mod kit version of the boom microphone is slightly longer and features noise isolation for better voice capturing, but still suffers from the rigidity of the basic microphone. Having to readjust your mic is not ideal during gameplay, especially when you're trying to communicate during a hectic game. Microphone issue aside, the Astro A40 TR is delightfully comfortable. They fit snugly around your head, but don't ever feel heavy, even after extended play. I've used them for hours on end playing multiplayer titles like Final Fantasy XIV, Star Wars Battlefront, and Call of Duty: Black Ops III, and very often forgot I was even wearing them. As mentioned, a mod kit is available for the A40 TR, which features a pair of faux-leather ear cup cushions, a faux leather head band cushion, higher-quality speaker tags, and a longer, more accurate boom microphone. This set is non-essential, but is certainly worth looking into if you worry about the slight sound bleeding the headset has by default. The mod kit is priced at $60. It is important to note that there are two versions of the Astro A40 TR + MixAmp Pro TR: one for PS4 and PC, and one for Xbox One and PC. Because of the proprietary audio jack on the Xbox One, these sets are not compatible with one another. 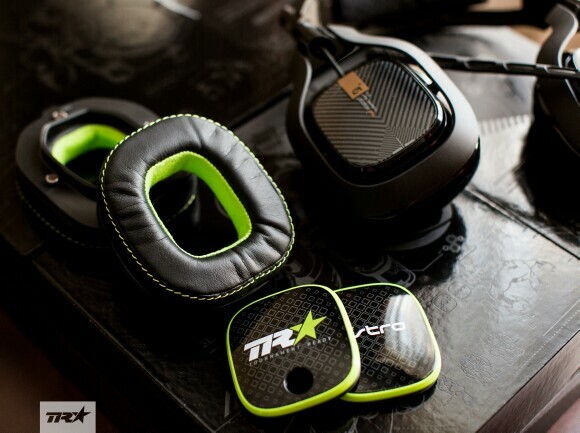 The MixAmp Pro TR compliments the Astro A40 TR in this set. The amp is a streamlined sound card that connects your headphones to your Xbox One or PC, and accommodates streaming and tournament-style play. Astro's Command Center program lets you adjust the audio settings even further, so you can get the ideal sound out of most of your games. The Command Center gives you the ability to tweak the output volume for streaming, with individual values for game, chat audio, microphone, and any auxiliary device you may have connected. The MixAmp comes with four preset sound options that you can cycle between with the push of a button. A red indicator will light up in one of four points around the button, highlighting the preset you have selected. The default setting is called Astro, which made the sound a touch too echoic for my liking. Natural Bass centers all sound values evenly across the board, leaving sound rather flat. I used this preset the least as a result. Balanced is the third preset option, and delivers very nice sound for general gameplay. Tournament is the last option, and offers beefier game and chat audio, which is great for competitive titles where audial cues matter. Audio can also be adjusted directly on the MixAmp via two dials. Master dial directly affects the sound volume delivered to your headphones. A second dial on the bottom of the MixAmp adjusts the mic feedback and game audio. Rather than having these settings adjusted via two dials, however, I would have rather had separate dials for game audio, chat, microphone feedback, and master sound. 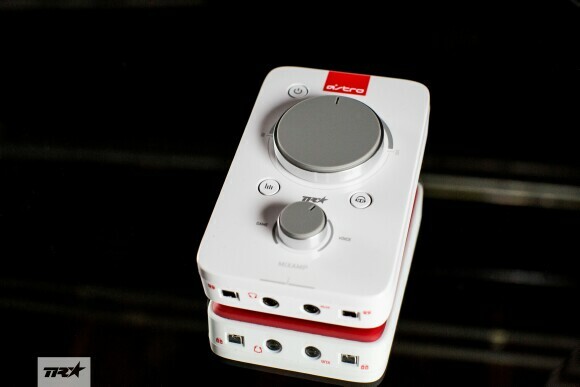 More controls would certainly be welcome in future iterations of Astro's MixAmp. 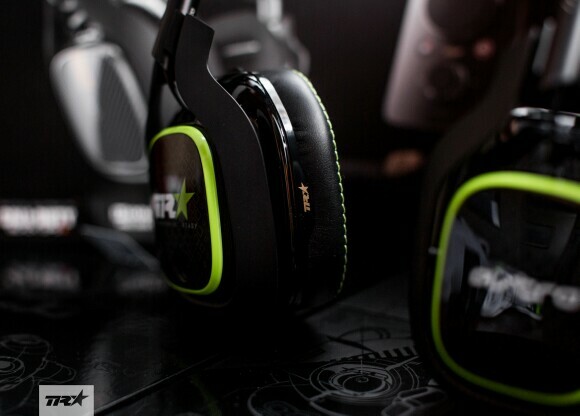 The overall sound produced by the Astro A40 TR and MixAmp Pro TR is of very good quality. Highs are high, and the bass is deep. Mid-range sounds are not quite as pronounced, comparatively, but this suits most games just fine. Only during hectic gameplay and firefights will sounds begin to blend together and become less discernable. The directional surround sound capabilities in particular are excellent. 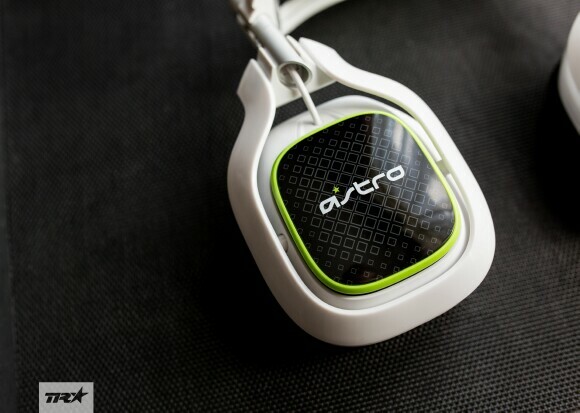 Games like Call of Duty make great use of directional sound, like footfalls, which the Astro A40s deliver fabulously. For casual listening and music, the Astro A40s fall a bit short. The strong highs and bass work fine for video game audio, but the subdued mid-range sound gives music a slightly hollow sound. The $250 price tag is a touch high for the base set, but the Astro A40 TR and MixAmp Pro TR combo delivers very good sound for the buck. The set offers good sound right out of the box, which is ideal for casual players hoping to get quality audio with minimal effort. On the other hand, Astro's Command Center program gives serious, competitive players a robust tool to adjust and modify their game audio to capture the sound they want. The Bang: Very good quality sound and surround sound. Headphones are solidly designed and highly resilient. The Slack: Microphone does not sit close enough to mouth. Separate dials for chat, mic, and game audio would have been preferred.